As news spread around the lands of Oberin regarding the pilgrimage of the disciples, the young ranger decided to make a pilgrimage of her own. Starting from Brigobaen, she followed the footsteps of many taken before her. It would be a great opportunity to work on her tracking. Road to road, she followed the trail with little difficulty. Along the way, she found a few goodies - a gray robe of protection, and a blue rose. As she approached Welif, she began to hear the sounds of people chatting. Suddenly, she was engulfed in the crowd of disciples. A bit overwhelmed by the size of the gathering, she decided to people watch from afar. Exhausted from the trek, she sat with her back against a tree - and soon begun to be lulled by the soft sounds of people buzzing nearby. Jolted awake by the sound of swords and daggers clashing, the ranger ran toward the commotion. She readied her bow, and shot at the brigands. 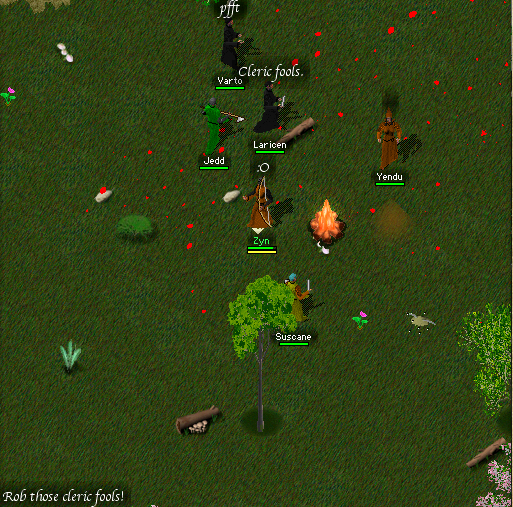 Suscane appeared and disappeared, while dealing heavy damage to the brigands. As they were being brought down, the ranger found herself thrown into a plethora of pixies. Being so young, she was no match for the pixies magic, and ultimately fell to them. Once the reinforcements (Jedd, Shivani, Varto, Laricen, Matthias and Yendu) arrived, the pixies and brigands were taken care of with ease. 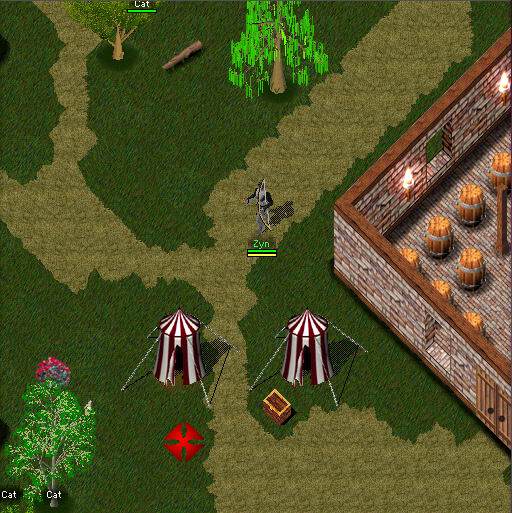 The group located the brigand camp which contained nothing too unusual, only a note that read, "Rob those cleric fools!" 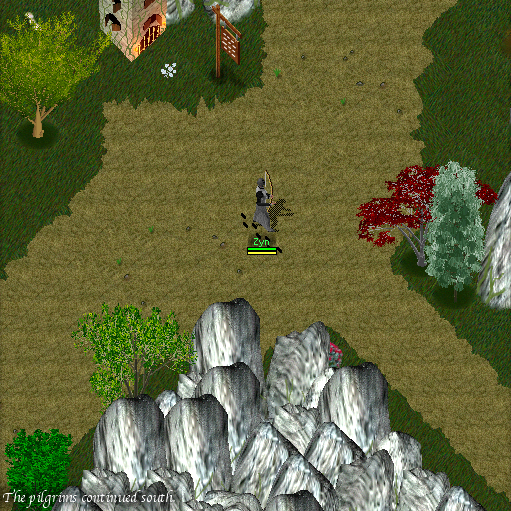 The ranger decided it would be best to stay in Welif and continue following the pilgrimage.